Last week I decided to use my Lumia 1520 as my sole GPS while driving from Sydney to the Gold Coast and back, I wanted to see how well Here Drive+ would work as my primary navigation system, which would also be putting the Windows Phone 8.1 updates with Cyan to the test, and it was also the first serious workout that my recently purchased Nokia CR-201 wireless charging car holder. Rather than breaking this post into a section on each of the components that were under test, I will break them down according to the experience I encountered with them. 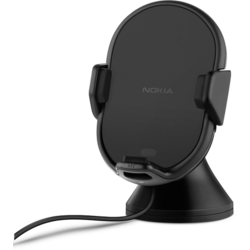 The Nokia CR-201 did a great job of not just holding the phone, which for the oversized 1520 can be a challenge, but it also successfully charged the phone while it was performing GPS tasks, streaming music via the Xbox Music service, and connected to the car audio system via Bluetooth. I’ve had poor experiences with some other car chargers that couldn’t supply enough power to phones when all of these capabilities are being used, and I was wondering if wireless charging would hold up. Once I was satisfied that this was working well I plugged another phone that had an empty battery into the USB charging port on the CR-201 bundle, and again there were no issues with both devices receiving power and charging. Here Drive+ delivered some good features as well. Downloading the maps in advance over Wi-Fi was appreciated, and having the maps shared with Here Maps is also a benefit. Alerts and notifications via Bluetooth, along with the streaming music, was a better experience than alerts from the phone being missed due to music volume. The route recalculation speed when I took alternate paths was impressive, but the results left a bit to be desired, but I’ll cover that later. Traffic information was also good, especially considering my old car navigation system requires a special cable in order to get that information. Finally, the 1520 itself lends itself to this type of functionality incredibly well. The size of the screen is great for viewing, and typing on a larger screen with a familiar keyboard is also a bonus. 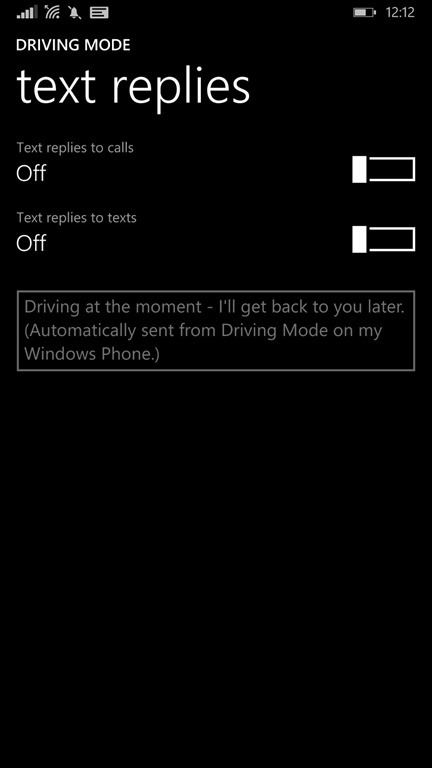 Enabling Driving Mode from settings helps to minimise the distractions that your phone would normally present. 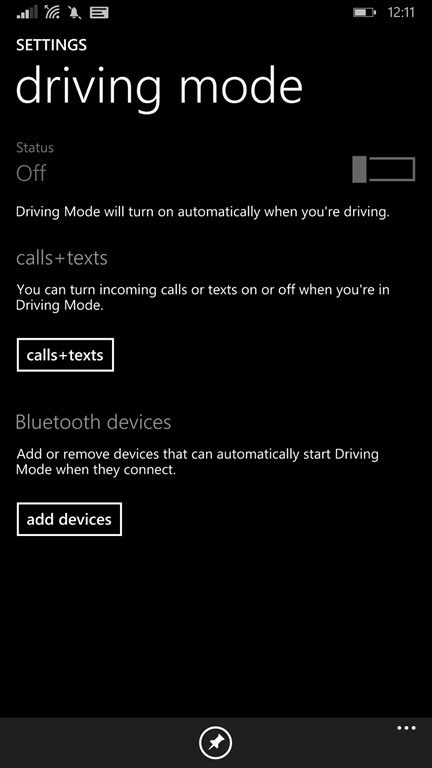 Driving mode is accessible under Settings, and as you can see you you can configure calls and texts as well as the Bluetooth devices that require this feature. 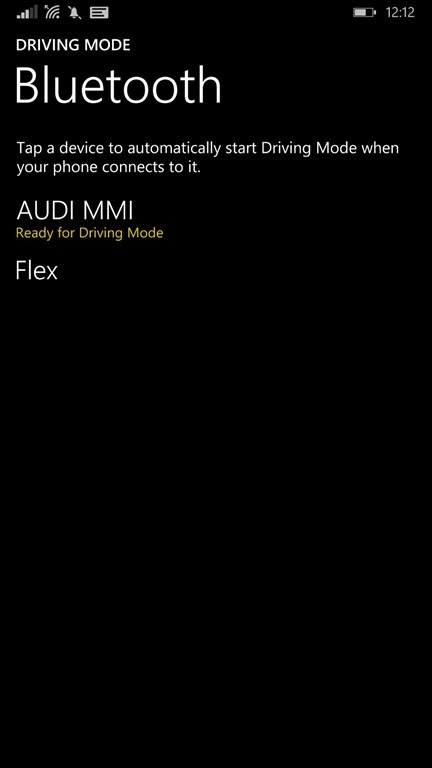 In Bluetooth you can see that it’s not an all or nothing type setting, you probably want driving mode enabled in your car, but not with your Bluetooth headset, and definitely not with your other Bluetooth devices like a FitBit Flex. Want a nice peaceful driving experience? While driving mode can’t control the traffic or the other drivers, it can eliminate calls and texts. You can configure automatic replies via SMS if you have people who panic when they can’t contact you, so now you can focus on the task at hand instead of trying to multitasking. The bad points of Here Drive+ are some of the features it lacks versus other navigation systems I’ve used. There were no obvious multi-stop trip capabilities, so i had to repeatedly stop navigation, enter the new location, go there, and then stop navigation, and go back to a previously found location. This isn’t a showstopper for me, but more of an annoyance. The second annoyance was that if I was searching for my preferred fuel supplier, it would give distances, but wouldn’t let you know the direction, so you may have already passed the locations at the top of the list. Other systems do things like having directional arrows to let you know if they are on your path, behind you, or way off the path you are taking. The inability to adjust alert volume was also an annoyance. I also had a few weird route issues, where it was insisting I take a certain path which I knew wasn’t correct, and it wasn’t until I was about 10KM from that missed turnoff, and where I needed to be, that it realised I was already there. I had a few other minor issues like this where the recalculations were trying to push me back to the way it wanted me to go rather than analysing where I was and if there was an alternate route I may have been considering. The other bad entrant is Windows Phone 8.1 related and that’s the ever present lack of certain apps. Windows Phone users are accustomed to certain apps not being available, and in my case it was fuel related, I had to use another platform to find locations that where I could easily locate the type of fuel I was after. 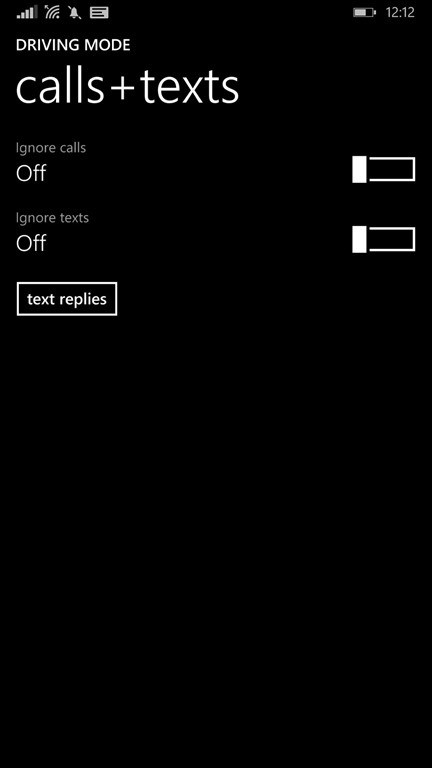 Trying to do this via the browser on WP8.1 was no match, the native app was the hands down winner. I’ll start with Here Drive+ which I found one major problem with – it did not know about school speed zones. There are other shortcomings I don’t see as showstoppers, but this is one that I think really needs to be addressed. The map data seemed fairly up to date overall, there’s always going to be some type of roadwork that means that speed limits don’t match, but school zone alerts were an area that I just didn’t have a good experience with.